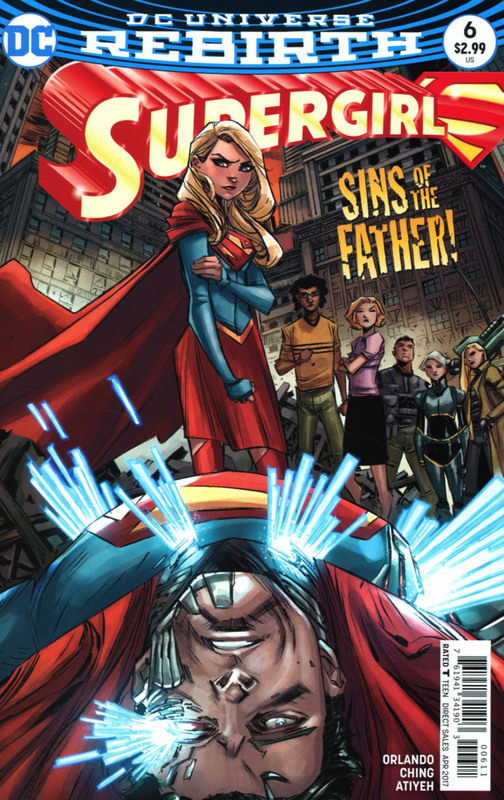 Supergirl is fighting Cyborg Superman and inspiring the citizens of National City to be better people. After punching Zor-El into Argo City's engines, Kara's former home slowly plummets into Earth's Pacific Ocean. Meanwhile, via their smartphone app, Catco sends the signal the Maid of Might used to escape the prison in which her father had placed her a few issues ago. The audio waves disrupt every undead Kryptonian's cybernetic parts, making all of them, including Zor-El, unable to move. Now, with Argo City's Cyborg Kryptonian army defeated, the D.E.O. is studying a means to help Zor-El, while Supergirl and the Danvers family try to get on with their lives while saving the world. Kara even gets a second chance to work at Catco thanks to Ben covering for her. Story - 4: Again, this is a series full of flaws, but this issue is a vast improvement to others. I do like how Kara used her mind as well as her powers and her ability to inspire the way her cousin does to defeat Zor-El. 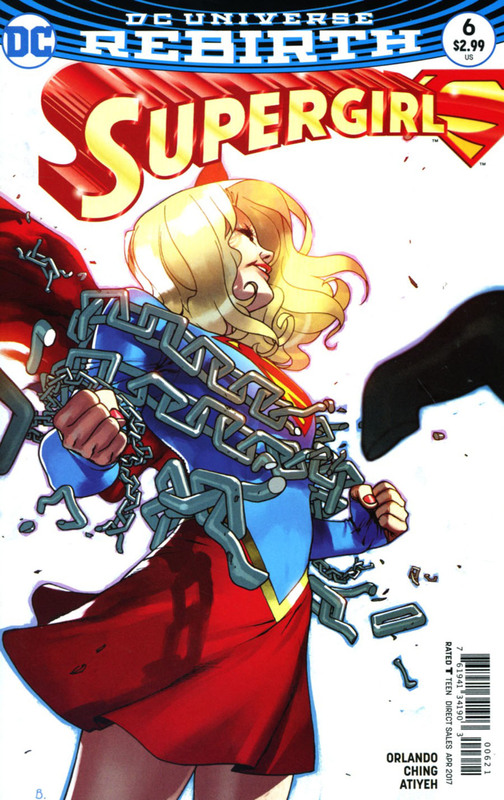 Admittedly, I feel a lot of things in this Post-Rebirth comic book are forced to make it compatible with the Supergirl TV show. However, I'm slowly but surely warming up to this series. Art - 1: I've not seen art this awful in a long time. Cover Art - 1: It's a pity I can't give both cover less than one because, quite frankly, they merit a negative twenty.